Back when the gods of rock were bending our minds with new styles and sounds, it was clear that besides their immense talent, analogue amplifier technology played an imperative role. Even though amp design back then was still in its infancy, that classic analogue tone is still highly sought after. So much so that many manufacturers are attempting to recreate those sounds through digital modelling amps. You may or may not know this but Orange Amplifiers were at the forefront digital amp design way back in the ’70s. 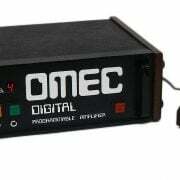 The original OMEC amp was a digitally programmable 150-watt solid-state amp that could store preset sounds. It was so far ahead of the game that it was produced before the development of the CMOS chip! These days digital amps has come a long way, making it possible to replicate almost any amplifier by modelling analogue circuitry. Yet still, there is still huge demand for true analogue amps, and that’s not to do with black magic, witchcraft or Don Draper-Esq marketing genius. It goes much deeper than that. Analogue amplifiers come in two main forms, tube and solid-state, although sometime they are configured as a hybrid, with a tube pre-amp and a solid-state power stage. All-tube amplifiers such as our classic AD series use pre-amp tubes to sculpt the tone, and then power amp tubes to smash pure analogue gooeyness out of your speakers. Solid-state amplifiers like the Orange 4 Stroke bass head or the Crush Pro Series use all analogue components (transistors, resistors and capacitors) in both the pre-amp and power amp circuit. That means you get the warmth people associate with analogue circuitry but reduce the overall size and weight of the amplifier by switching out the tubes for a solid-state power amp circuit. 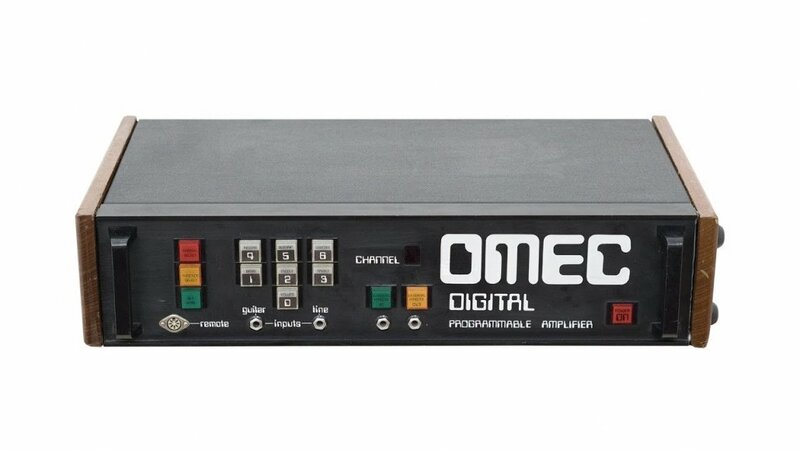 In contrast, digital amps use digital algorithms to produce the tone at the pre-amp stage and most commonly, solid-state circuitry for the power stage. Some manufacturers offer a tube power stage, but this goes against the core benefit of a digital amp: flexibility. These days we’re expected to be everything to everyone. It’s part of the immediacy culture. Rather than learning to understand the nuances of tone, we’re now able to flip a switch and change between two completely different sounding amplifiers. One minute you’re playing country blues and the next moment, black metal. Sounds pretty fun? But nothing is clear-cut. The cost of flexibility is impact. We’re talking about pure unadulterated grunt that you get from an analogue amp. It’s not just that you can hear it; you can feel an all-analogue amp pushing through your very soul; whole-bodied and direct, accurately representing the true nature of your instrument across the whole frequency spectrum. When you’re hammering it out on an all-valve or solid-state amp on stage it moves you, undulating like sea waves. Unlike an algorithm that digitally recreates a signal, when you drive valves, they compress and produce warmth that has an almost erogenous aspect to it. Solid-state amps are cleverly designed to meet the needs of the most discerning player, creating complex and harmonically rich tones. When people speak of the warmth of analogue, they’re talking about how the sound unfolds and wraps around the music. Live or in the studio, that full body of sound of analogue gels together the other instruments into a unified whole, sitting just right in the mix. Yet, solo instruments can still be attenuated without feeling harsh or out of place. In all circumstances, one of the key aspects to a great sounding analogue amp is just that, you need to do very little to get just what you want from it. Time is money, in the studio, it’s all about the flow and onstage even more so. 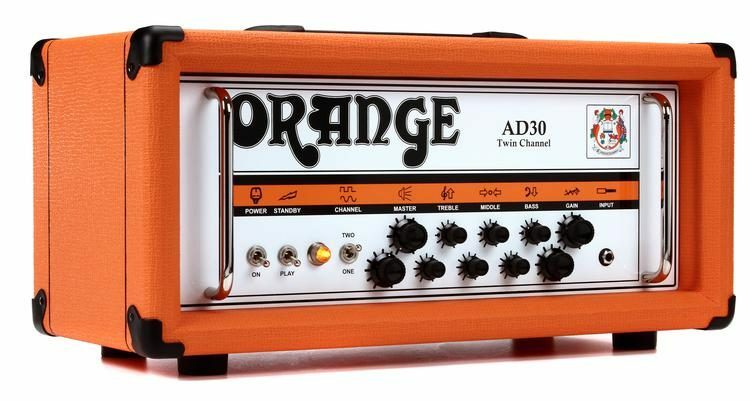 Orange Amplifiers are synonymous with simple setup, be that getting a gnarly guitar tone or Venice Beach muscle man bass. With an analogue amp there’s no shrillness you’d expect from digital, instead they accent the natural harmonics of the top end, thickening the midrange and levelling the boom of the bottom. The devil is in the detailed response to the natural ebb and flow of your instrument. On the flipside, modelling amps could be seen the epitome of simplicity. Jogging through banks of classic amplifier setups certainly feels like you can conquer anything you can throw at it. But still, recording studios aren’t discarding their banks of ‘go to’ analogue amplifiers in a hurry, especially when it comes to pummeling the overdrive settings or looking for a sweet clean tone. While valve and solid-state amps have an artful beauty to their clean tone, it’s when you get down and dirty that digital begins to lose its way. That is unless you’re looking for that specific sound you get from modelling amps; incisor sharp, transparent as Perspex. Digital amps try to get close to modeling pre-amp circuitry but there’s nothing quite like the throaty roar of analogue. It all comes down to the imperfection of the technology that provides depth that is seemingly impossible to replicate honestly. At a lower gain stage, the waveform becomes asymmetric, rich in even harmonics. But when you push the amp even further the bottom of the wave flattens, producing a symmetric wave with odd harmonics. It’s those odd harmonics that release the beast from within. OK, so all-valve amps aren’t all that portable. Designed for functionality above anything else and are unmatched in pure brute strength and killer tone. Their modern digital counterparts sit on the other side of the fence; form is their strength, portability a supreme asset. At a cost, many professional musicians would agree, that is outweighed by their novelty. Somewhere in-between sits the solid-state amp, the choice for many touring musicians where portability is a big benefit but without compromising too much on the essence of your sound. Ultimately ringing out true to the nature of your composition. Fundamentally, above anything else, Orange has been at the forefront of producing innovative amplification since the late sixties, creating what is now recognized as the British sound. First heralded by legends such Fleetwood Mac and Stevie Wonder, and blown into the stratosphere by Led Zeppelin. Re-emerging, again and again, Orange Amplifiers has always been there to define the sound of artists such as Oasis in the ’90s and again taking the world by storm along with the Arctic Monkeys in the decades to follow. Orange Amplifiers, seemingly the Swiss army knife of the music industry.